Everyone knows about the cute Chichi® sculptures: the curvalicious lady painted in colours of any kind. But who is she, where is she made, and who creates her? Let me tell you more about Chichi’s® story. “Chichi” is the nickname for the eldest sister in a family. Apart from the parents, she is the one who carries responsibility of all her younger siblings and helps raising them. On Curaçao, having a “Chichi” in the family is very common. This is what inspired Serena Israel to create the sculpture that has become part of Curaçao’s identity. 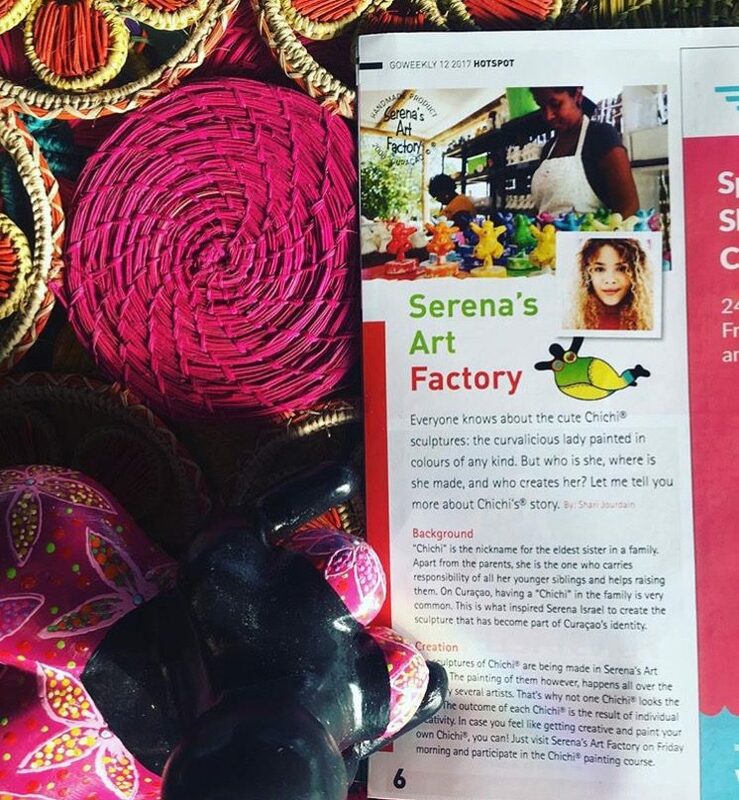 The sculptures of Chichi® are being made in Serena’s Art Factory. The painting of them however, happens all over the island by several artists. That’s why not one Chichi® looks the same. The outcome of each Chichi® is the result of individual creativity. In case you feel like getting creative and paint your own Chichi®, you can! Just visit Serena’s Art Factory on Friday morning and participate in the Chichi® painting course.